I recently jailbroke my iPhone 4 with limera1n and have added a feature to my iPhone that helps me stay productive by making use of an otherwise poorly utilized space in the iPhone OS: the Lock Screen. 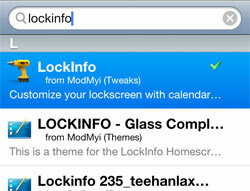 The app is called LockInfo and it’s available in Cydia. In my opinion, Apple should take a look at LockInfo and make this default functionality in the next iOS version. Currently, the iPhone lock screen is just wasted realty, and LockInfo makes it much more useful. LockInfo supports plugins that expand its functionality. 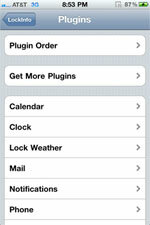 By default, it will display mail, calendar items, text messages, phone calls and push notifications, but everything else is available as a plugin. I like that LockInfo runs on plugins because it gives you the ability to choose what features you want and leave the extra stuff off your iPhone harddrive. You can customize each plugin individually within Settings, including the order that the information is displayed on your lock screen. LockInfo is great because it places a summary of all of your important information just a button-click away. By simply pressing my home button, I can check the time of day, see my upcoming appointments, view and check-off my tasks for the day, and read my recent email messages… all without even unlocking my iPhone. You can customize the way your information is displayed, by adjusting the plugin order, setting the maximum amount of items for each plugin and expanding/collapsing sections on your lock screen. The app also has a useful feature called InfoShade, which lets you pull up the LockInfo screen no matter what you are doing at the time. You can define how to activate it in Settings. I set it to appear when I pull down on the status bar at the top of my iPhone. 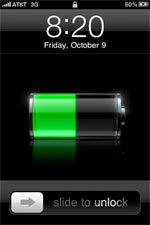 LockInfo also solves another problem with the iPhone, namely the lack of a notification handling system. I have lamented the fact that iPhone lacks a notification handling system before. LockInfo solves the problem by listing all your recent push notifications in their own section on the lock screen. Now, your important meeting alert won’t be erased by the notification about a Facebook message, for example. With LockInfo, all of your push notifications are listed on your lock screen until you clear them. LockInfo makes checking email way faster, too, because it lets me read and Mark as Read (without reading) messages right from the lock screen. This saves me a lot of time because it prevents me from having to go to the Mail app just to check an email that I might never have read in the first place. 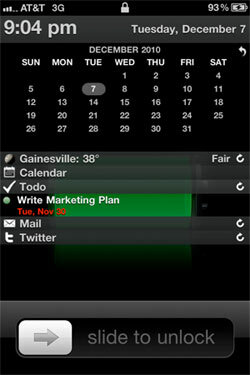 For example, say you are busy and you get a buzz on your iPhone alerting you of a new email message. If you look at your LockInfo screen and see that it’s just a promotional email from an online store you once bought from but no longer care about, then you can simply mark it as read by tapping the X and go right back to work without being too distracted, and without ever unlocking your iPhone. All in all, I am a big fan of LockInfo because it helps me reorient myself throughout the day. I can set my appointments and tasks at any time, and I can constantly update and view my workload right from the lock screen. One concern I have about LockInfo is the fact that anyone who picks up your iPhone can see all your important data on your lock screen. I tried setting a Passcode Lock to see how much LockInfo would let me access without having to enter a passcode, and it was more than I would like. Not only can anyone see my upcoming appointments, to-do items and text messages, but they can actually manipulate the data by marking emails as read (but not read the content of emails), marking to-do list items as complete, and sending out messages from Twitter, without even having to enter the passcode. (Update: David notes in the comments that you can make the Mail plugin more secure in the Settings.) If you are dealing with sensitive information or are very strict about your privacy, then LockInfo is probably not for you. 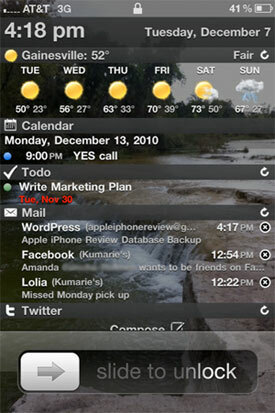 LockInfo is full of functionality and is highly customizable. Is there a catch? Yes. LockInfo is not free. In fact, it’s a little on the high end for an app at $7.99, however you do get a 14-day trial. You can find the app and plugins in Cydia by searching for “LockInfo.” For detailed instructions on how to install and use LockInfo, check out this LockInfo how-to guide by iClarified. For more info on jailbreaking any iPhone, see my Ultimate iPhone Jailbreak Guide. Actually, there are several security features included such as preventing marking as read or deleting emails, preventing previews and others. Thanks, David. I’ve updated the post. 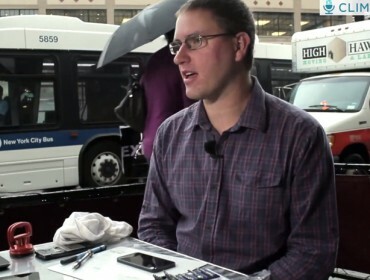 Question: when you unlock or unjail your Iphone, does it negate your warranty if you still have one? It technically does. If possible, you can restore your iPhone before taking it in for service.